The Body of Christ is gaining fresh understanding and insight concerning heavens being opened over people, communities and geographical regions. It appears that there are certain regions in the world like Wales and Florida, and in India, Shillong, which are “hot spots” for open heavens. 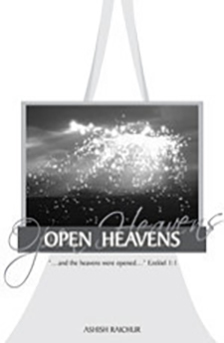 This publication is a simple study on what the Scriptures reveal concerning the heavens being opened, what this means and what the outcome would be. We trust that many would be encouraged to pray and create an “open heaven” over their lives, their local church and their community. We trust that local churches in a region will be inspired to come together in a united effort to pray for an open heaven over their city or region, for the reformation of the church and the transformation of that city or region.